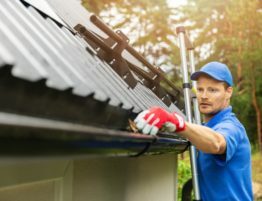 What's the Average Gutter Repair Cost? 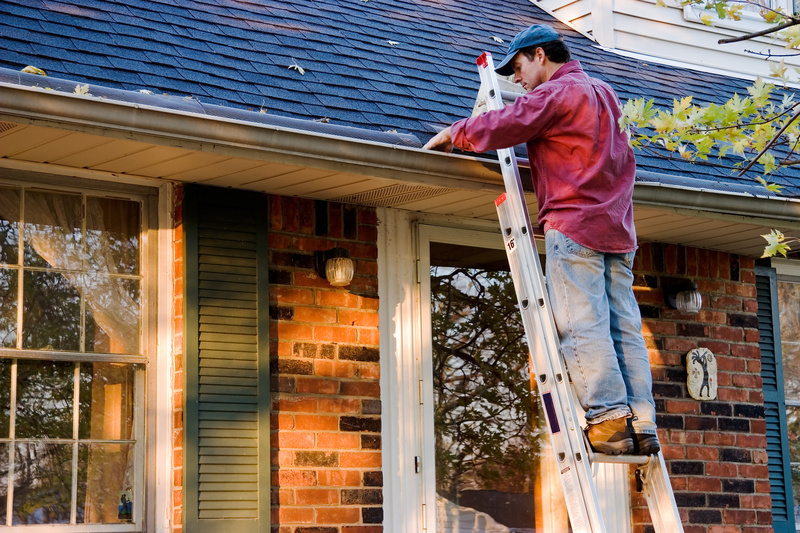 Having a gutter repaired is a common home maintenance item for homeowners. The elements can be harsh on a gutter and buildup from debris can damage it. A gutter repair cost may intimidate you. Don’t worry! In this article, we are going to go over the factors that influence the overall price of a gutter repair. Things like materials used and the length of the project will influence the price. 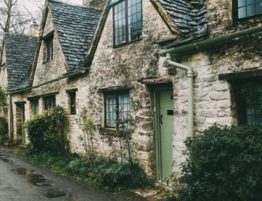 Keep reading to learn more about fixing gutters. Gutter repair can be costly. You can choose a provider that will come to your home and assess, replace or repair broken or malfunctioning downspouts and exterior gutters. 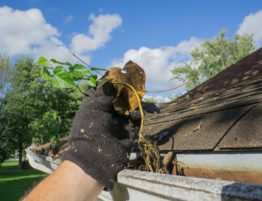 Issues that often occur are as follows: sagging, broken, clogged, or disconnected gutters. Rust, holes, or leaks can also occur. The average cost nationwide is anywhere from $75-230. 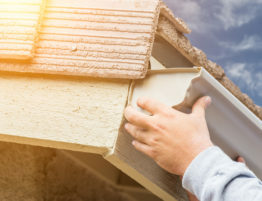 Depending on the foot of the gutter and the downspout material to be replaced or worked on, the gutter repair service will base their pricing on that. Other factors that affect pricing include the conditions of the gutter and the type of gutter present. Some charge per material plus the hourly labor. Others charge a minimum fee upfront anywhere from $100-$150. In most cases, an estimate will include the rate for the project including labor costs and materials. The most common type of gutter material is aluminum, even if its traditional sectional or seamless guttering. Sometimes gutters are made of vinyl and steel. Steel gutters tend to be more common on commercial buildings. Many contractor’s advice against vinyl because they can get brittle over time and are cheaply made. The gutter material will affect the cost of the repair, especially if entire sections need to be replaced. Copper is a more expensive material choice compared to aluminum. It can run up to $25 per linear foot compared to $5 for aluminum. Gutter systems tend to have surfaces around them that could affect the repair costs. For example, wooden fascia boards can be damaged by water if the gutter isn’t carrying water away from the outside of the home. 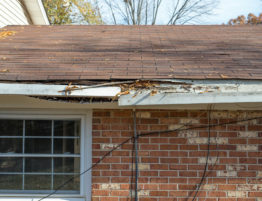 Gutter contractors can fix these issues as part of the project for an additional fee. This will cover materials and the required labor. Gutter installation services suggest trying and keep your gutter clear of garbage. This is the best way to avoid repairing a gutter. Buildup can occur on gutters and may need to be cleaned. Some gutters can have guards installed to prevent the accumulation of debris. See if there are workmanship guarantees when having a new gutter installed. Materials as well can have a warranty. Certain places offer anywhere from 5 to 50-year warranty. Homeowners can avoid massive repair projects due to water damage if they make sure to walk around the outside of their house during the first significant rainstorm of each year. 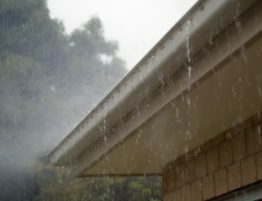 Check and see if there are any areas where gutters aren’t carrying water away from home. We hope you found this article helpful. 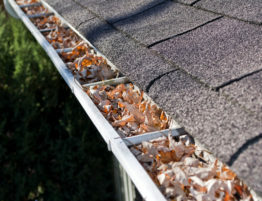 A gutter repair cost will depend on the material you use and the number of hours required to fix the gutter. 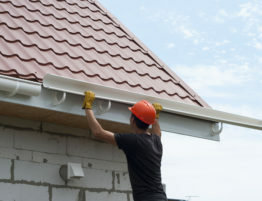 If you are looking at having your gutter repaired, contact us today! We would love to talk to you.